Satiating America’s Desire for Choice – What is American Food? American values manifest themselves constantly in our food culture, from the commercials we view to the food we consume. The idea of freedom is viewed as essential to the American way of life, and freedom means choice. To increase choice for consumers, we have attempted to alter nearly every step of the food supply chain. Whether it be changing what we grow, how we process it, how we cook it, how we package it, or how we consume it, one thing is for sure: in America, the more choice, the better. Influenced by consumer driven convenience, culinary collaboration, and media-fueled trendiness, American food culture constantly attempts to satisfy consumers by providing them with an extensive array of choices. The convenience of food is becoming increasingly important to Americans, and the food industry is attempting to meet this demand in a variety of ways. Ranging from quick snacks like granola bars to full meals like sandwiches, convenience foods are created with consumer needs in mind. Instead of being restricted to three sit-down means a day, American can now eat whenever and wherever they want. For example, processed snacks are easily transportable and shelf stable, providing a quick burst of energy at a moment’s notice. Unfortunately, this flexibility does not come without costs. As Eric Oliver points out in Fat Politics, 100 calories here and 200 calories there can add up quickly, leading to weight gain. [i] Snacks advertised as healthy are often far from it. However, the convenience of on-the-go food is so important to Americans that nutrition facts are looked over by many. The snack aisle has consumers eating out of the palm of its hand, and consumers are enjoying every bite. Processed foods are not the only part of the industry catering to choice-hungry consumers; the restaurant industry has diversified their offerings too. While not everyone in America lives a fast-paced lifestyle, many people find themselves squeezing one or more meals into their day while multi-tasking. Fast food has been around for decades, but businesses that sell quick, healthy(ish) meals weren’t commonplace until recently. The demand for fast, quality food lead to a completely new category of restaurant called “fast-casual.” Don’t have the time to be waited on? No problem. You can pick out your meal, pay, and sit wherever you want. The choice is yours. 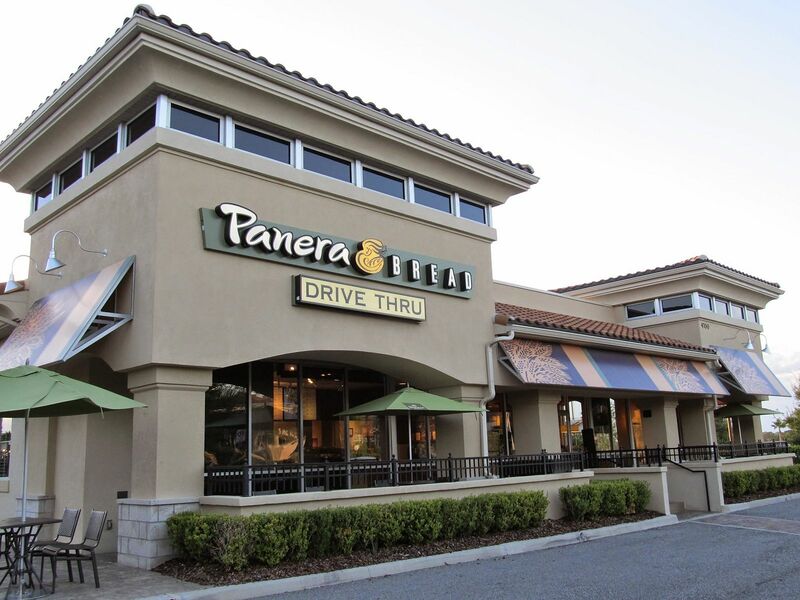 Chains such as Sweetgreen (think Subway, but with salads and grains), or the better known Panera Bread, are growing every year. Fast casual restaurants expand the quality and types of food consumers can eat while providing them with the flexibility of eating a quick meal at any point in the day. Collaboration expands food choice by creating new foods, increasing the flavor profile of American food overall. The collaborative nature of American food is due to both our diverse population and the expansion of our distribution system. A constant influx of immigrants causes America’s food knowledge base to continuously grow. Once reaching America, immigrant food can change, sometimes to create completely new dishes. As Hasia Diner describes in her book Hungering For America, much of the Italian food we know today is an American interpretation of what would have been cooked in the country itself. [ii] Collaboration has given us the sushirito, BBQ pulled pork pizza, kimchi deviled eggs, and more. This constant innovation and collaboration results in a nearly endless supply of new dishes for American consumers to try. Chefs no longer have to work with what is grown nearby; they can import nearly anything in the world, increasing the range of ingredients consumers ultimately taste. To keep up with consumer demand for the new and exciting, many chefs experiment with new techniques and flavor combinations. However, this phenomenon is not something reserved for fancy New York chefs. The presence of an international aisle in many grocery stores (not to mention the range of smaller, often cheaper specialty stores in most cities) opens up the opportunity for home cooks to explore new cuisines as well. The combination of diverse knowledge and readily accessible ingredients in America has resulted in an extremely collaborative food culture. And better yet? Consumers’ taste buds are the first to benefit. Food trends serve as a way to further promote the idea of a diverse American food culture through social media. Avocado toast is one of America’s most popular trends; in fact, the dish has been steadily increasing in popularity on social media since the fall of 2013. [iii] Avo-toast is known in America for being healthy, delicious, and absolutely grammable. You can buy it out or make it at home, experimenting with endless flavor combinations. A slightly more extravagant trend dubbed ‘Unicorn Food” has recently taken over the millennial food world. Sparkly, rainbow colored food has been featured everywhere from Instagram to Starbucks ads. Almost any food can fit into this trend: unicorn cupcakes, unicorn sushi, unicorn toast (just don’t forget the rainbow!) So what really is the point of a food trend? Adeline Waugh, a food stylist, claims that, “Sometimes with everything going on in the world, people just want to play with their food or look at (happy and fun) pictures of food.”[iv] Food does not have to be consumable to serve a purpose in American culture. You may not want to eat unicorn toast for breakfast, but you could if you so desired. In an age where more things are communicated via a snap or a gram than a conversation, Americans truly eat with their eyes first. Even if consumers do not make or eat the food they see on social media, these trends create an illusion of choice through creative visual representations of food. American food can be many things. It can be delicious, diverse, and innovative. It can also be expensive, unequal, and underprovided. Current consumption is not a product of what we raise or grow, but rather what we desire. American food culture has evolved to be convenient, collaborative, and trendy to satiate consumers’ desires for choice. Whether this is through fast-casual restaurants, fusion food, or avocado toast, one thing is for sure: the customer is always first. [i] Eric J. Oliver, Fat Politics: The Real Story Behind America’s Obesity Epidemic (Oxford: Oxford University Press, 2006). [ii] Hasia Diner, Hungering for America: Italian, Irish, and Jewish Foodways in the Age of Migration (Cambridge: Harvard University Press, 2001), 53-54. [iii] Jayne Orenstein, “How the Internet Became Ridiculously Obsessed with Avocado Toast,” The Washington Post, May 6, 2016. [iv] Liam Stack, “‘Unicorn Food is Colorful, Sparkly, and Everywhere,” The New York Times, April 19, 2017.